In an ever-more digital world, marketers have seemingly endless opportunities to engage customers and bring them closer to their brands. However, the value of marketing can be challenging to communicate to relevant stakeholders, especially those in the C-suite. While sales teams can measure their impact through sales and revenue, marketers tend to struggle to show ROI. We all want to demonstrate marketing’s contribution to the business but sometimes lack the necessary people, processes and tools to make it happen. 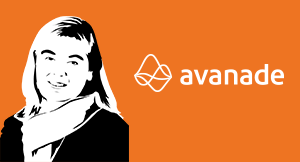 That was the situation Avanade faced three years ago. 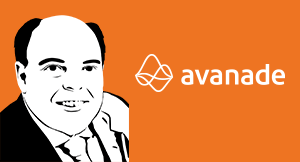 When I joined Avanade in 2012, the company had just launched a sales effectiveness program. Marketing needed a similar kick start. The marketing organization at the time was primarily focused on communications and brand initiatives, with less emphasis on alignment with sales, demand generation or campaign development and execution. Measurement and reporting were limited. Increasing marketing’s value to the business. Here’s a close-up look at our transformation program. As a critical first step, we sought input and buy-in from key stakeholders, including the marketing team, business leadership, sales, IT and other functions. Next, a marketing operations leader was charged with running the program and developing the operations function. Planning, budgeting, measurement and reporting: Driven centrally by marketing operations, this work stream focused on strategic marketing planning, allocation of marketing funds, and establishing metrics and reporting. This included enhancing our use of data and analytics to measure marketing’s impact and improve decision making. Capabilities: This focused on execution, including service line and industry marketing, our go-to-market model with global programs and campaigns, virtual centers of excellence, alliance marketing and digital marketing. People and organization: We moved everyone into a single, cohesive team. Key success factors included getting the right people with the right skills on board, moving people into the right roles and establishing training. We strengthened skill sets, reorganized the corporate marketing functions and built out the field marketing teams. Tools and processes: New tools and processes were critical to realizing results from the program. An expert marketing technologist was brought in to lead digital channels and platforms, and implement a marketing automation system. Integrating with our CRM platform enabled us to create a true closed-loop lead management system to properly route, assign, accept/recycle, qualify/disqualify, convert, progress and track leads throughout the sales and marketing funnel. 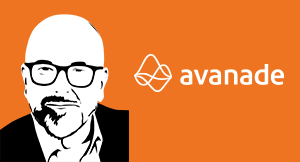 Today, Avanade’s marketing organization bears little resemblance to its predecessor, thanks to the program, the commitment and buy-in of our marketing team, and the support of the business leadership. With our centralized, global approach, campaigns are brought to market faster and with better results. In fiscal year 2015, time to market for campaigns accelerated by three months over last year, and we’ve seen exponential year-over-year growth in our demand-related KPIs, including such measures as marketing’s impact on sales and its influence within the pipeline. In addition, we’ve seen an improvement in our effectiveness and are more closely aligned with sales. Global planning, local execution: The transformation program cut across the marketing organization – corporate and the field. We shifted our approach to doing as much as possible centrally to free up our field marketers to focus on clients, execution of marketing programs and campaigns, and supporting sales. 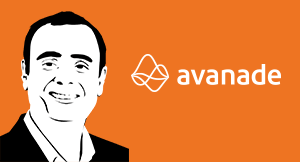 Alignment with and support from the business: The program was always positioned in the context of Avanade’s overall business objectives with strong support from executive leadership. Art wrapped in technology: Our program recognizes the need for both the art and science of marketing. There is art in what we do; positioning, messaging, and having compelling content, clear writing and strong visual imagery. These are essential to effective marketing. But technology – specifically, data and analytics – plays a vital role as our marketing team now uses data to make better decisions. Digital technology has changed client expectations, business opportunities and marketing. Our program is an example of how organizations are adapting marketing strategies to better harness digital technologies to empower people and improve communication, collaboration and innovation. Given the success of our program, we’re confident that with the right people, processes and tools, we’ll continue to advance as a world-class marketing organization with the ability to show our impact on business results. 58% of sales directors expect to achieve their annual quota and leading enterprises look to digital technology to help close the gap.